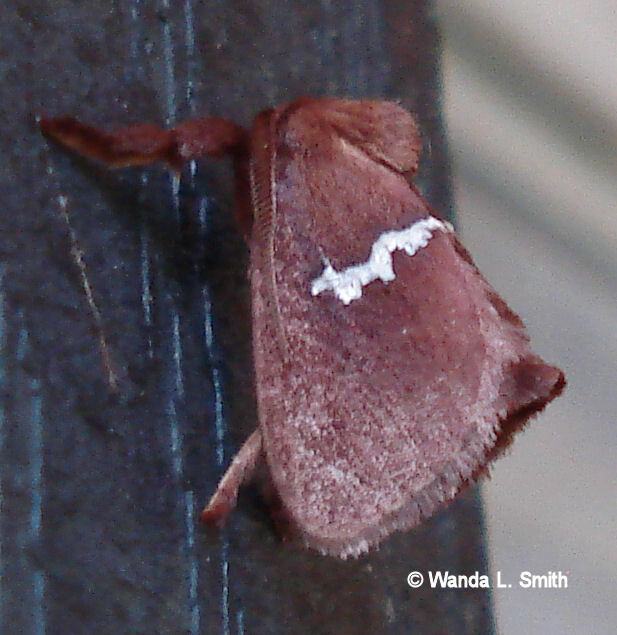 Identification: Forewing brown, sometimes reddish brown; only marking a narrow, wavy, silvery white to yellowish line above inner margin. Larvae are peach colored with wavy, bright reddish-orange, black or dark brown vertical striping in three sequences of a four-stripe pattern. 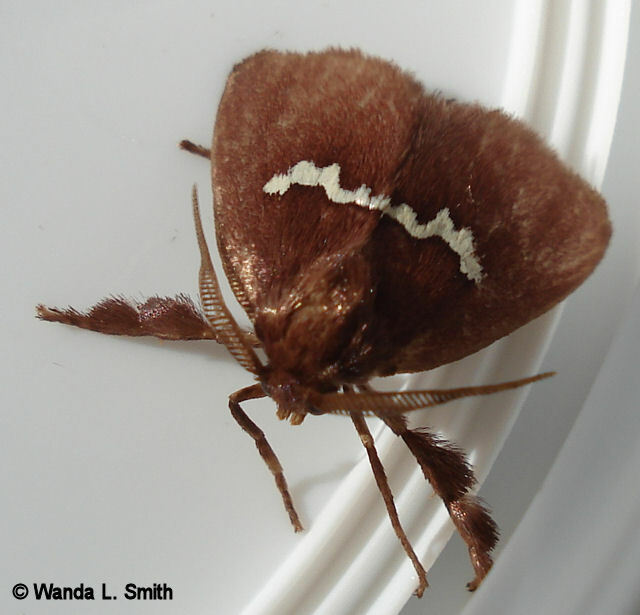 The bright reddish-orange stripes are covered with numerous white, stinging hairs. Life History: One generation per year in the north, present much of year in Florida. 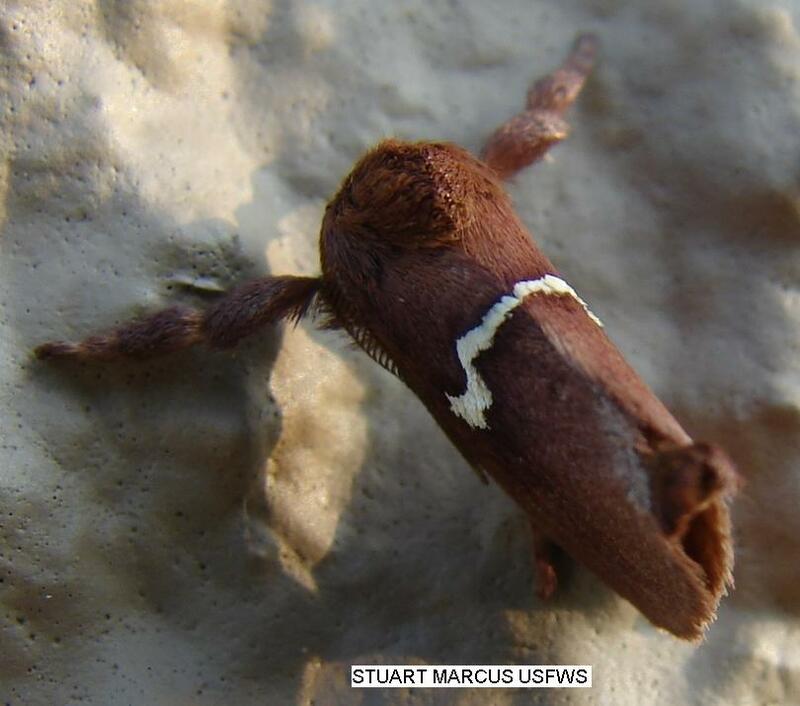 Eggs are laid in clusters of 20 or more and are unusual for the slug moths--they are raised and covered with scales from the abdomen of the female. Caterpillar Hosts: Oak, Cherry, Pecan, and Persimmon. Habitat: Northern barren land and southern dry woodlands. Range: New York and New Jersey to Florida, west to Texas, north to Kansas and Missouri.